I'm wearing one of my favorite ZARA blouses, which she got me when we were in Italy. I just got these shorts from FOREVER 21, and I've been dying to wear them out. 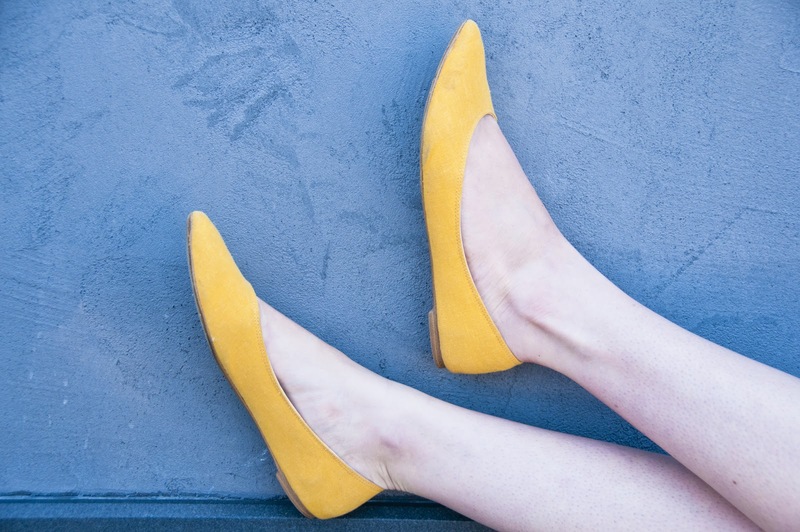 Since I was wearing bold colors already, I figured bold solid flats would be the perfect a final touch! I got them a while back from URBAN OUTFITERS!